In an era when it was illegal for two men to hold hands in public, the pristine beachfront hamlet of Cherry Grove on Fire Island, N.Y. was a safe haven for gays who were often targeted for arrest and prosecution. Through interviews with residents and new and archival footage, Michael Fisher's oral history of the enclave uncovers long-hidden secrets and exposes little-known stories that are more relevant than ever today. Fisher, who has been going to Cherry Grove for 32 years, was inspired to make the film by long-time resident Michael Delisio. "Michael was one of the first men to go to Cherry Grove in the 1950s," Fisher says. "He is a great storyteller, and his tales of the early gays of Cherry Grove inspired me to capture the many anecdotes about the community before all the old-timers are gone." 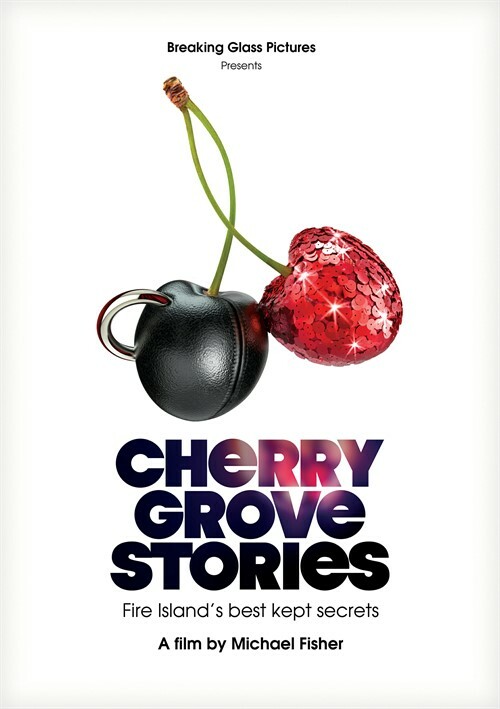 I have always regretted that I have yet to visit Cherry Groves and I feel that desire even more so after seeing Michael Fisher's fascinating documentary that shows the unique character of Cherry Grove, a community on Fire Island, New York that became a safe haven for gays during a time when it was illegal for two men to hold hands in public. Fisher's interviews with residents bring out hidden stories and unknown facts that need to be told. Cherry Grove has always played an important role in LGBT history. It is part of Fire Island that is located just off Long Island, New York. It began in the 1950's when gay men and women needed a safe place as an escape from the city where gay men were free to be themselves when homosexuality was still illegal. This documentary combines archival footage with a great many interviews with the old-timers who happily share what the Grove was like back then in the good old days. Emphasis was on having a good time and sexual freedom that was not available to LGBT people anyway else. Cherry Grove was wild and a place where literally anything goes. The liberation and freedom that Fire Island offered was a precursor of what the gay community would start to demand elsewhere even though this was not view shared by everyone. It wasn't a totally safe paradise- there were police crackdowns and entrapments. The effect of an arrest meant public humiliation and 'outing' with names and photographs in a newspaper that could lead to men losing jobs, homes and being rejected by families. Drag always played am important part of Cherry Grove especially since it was still illegal for men to be out in public in women's clothing. In 1976 when a drag queen called Terry Warren was refused entry to a restaurant because of his outfit, the incident caused a major protest. Then on July 4th that year a bunch of drag queens jumped into a water taxi and 'invaded' the place. It was such a success that the 'Invasion' has been an annual event for celebration ever since. The AIDS epidemic devastated the population of Fire Island with many of its residents choosing to have their ashes scattered here. It was the place where they had been the happiest, The after effects of AIDS also changed the whole make up of the Grove. It always had been a place where the gay community had intermingled well with the straight community that lived there, but now with so many properties suddenly being available, there was an influx of lesbians who were becoming homeowners. Some of the more flamboyant interviewees ramble and the film was made with the assumption that the viewer already knows something about Fire Island and Cherry Grove which could be a confusing for those who do not. Fire Island is still an LGBT paradise that will continue to be so.